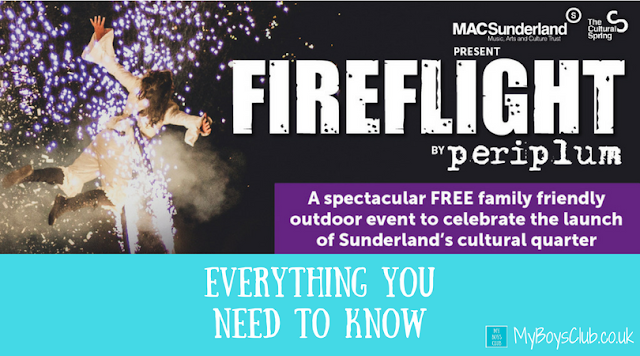 Fireflight - a spectacular free family-friendly outdoor event - will be performed in Sunderland this week - here is everything you need to know! This one-off performance will take place on Thursday 23 November, when more than 100 local performers will feature in the event which will officially open Sunderland’s newest arts hub, The Fire Station. 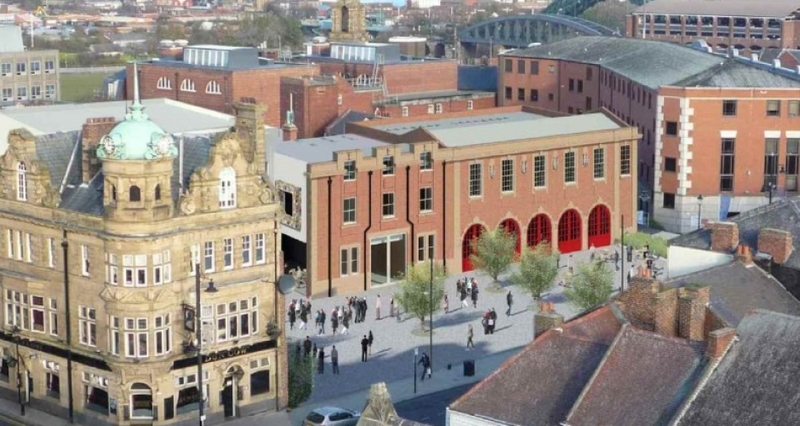 The Fireflight performance, later this week, will officially open The Fire Station, which will offer dance studios, a drama studio, a bar and bistro and a heritage centre in the heart of Sunderland, following a £3.5m transformation of the once derelict building which is 110 years old. The performance will be a celebration of the emerging cultural quarter and the city’s cultural renaissance. The large-scale performance is the kind of events the city could expect should it win the UK City of Culture 2021 title. 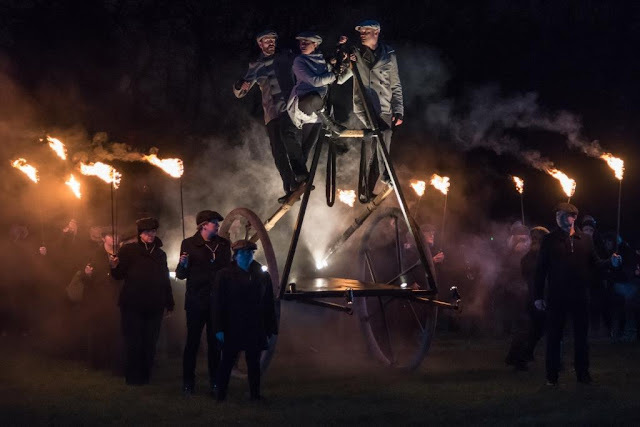 The show is called Fireflight and is a re-interpretation the legend of the Lambton Worm performed with a mixture of movement, music and drama. The flame of the Lambton Dragon lives on with a local Lighthouse keeper; burning brightly across Wearside for 25yrs until it explodes brightly into the sky. The flame journeys across Sunderland’s landscape, passing from generation to generation through the city’s past, present and shining a light on a bright future. The music, specially written for Fireflight, was inspired by the question ‘what does Sunderland sound like?’ Can’t wait to hear that! Thursday 23 November - so not long to wait! YES! This family-friendly outdoor event combines music, theatre, dance, aerial performance and fire to celebrate the beginning of Sunderland’s new cultural quarter. Please note though that an adult must accompany children and young adults under the age of 16. The mixture of movement, music, pyrotechnics and drama will take place outside of the development, in High Street West in Sunderland. Access to the site will be signposted and the main access point is the road between The Dun Cow pub and Sunderland Empire. It is expected to attract an audience of over 1,000 people. That's a lot of people. How brilliant! The free performance will be delivered by internationally-acclaimed outdoor theatre company Periplum, jointly commission from the Cultural Spring and Sunderland Music, Arts and Culture (Mac) Trust. 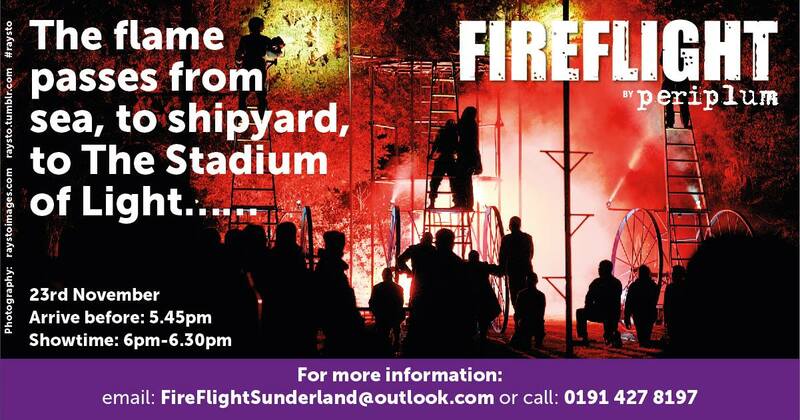 Over 100 local people will perform in the show and it’s not too late to be a part of the Fireflight performance. Singers are still needed to join the Fireflight Choir. Email for more information. Do you fancy it? I think it would be fab to be involved! The show starts at 6pm approx. and lasts for 30mins, but all show attendees MUST arrive and be on site before 5.45pm. This is because the performance can’t start until the crowd is in place. 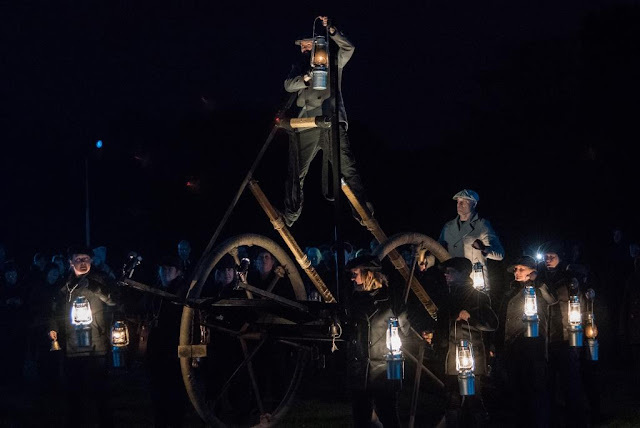 Then at 6.45pm get ready for the big Fire Finale with a beautiful pyrotechnic display at the front of the Fire Station with a dance performance led by Dance City. Fireflight will take place at the SAME TIME as the Christmas Lights Switch On but the Fire Finale will follow the performance by pop idol Pixie Lott, who will help switch on the city’s Christmas lights in Keel Square starting at about 5.45pm. This performance will not be ticketed. The Fire Finale at 6.45pm is not ticketed and open to anyone and everyone including attendees of The Light Switch On. Entry will be on a first come first served basis. What else is happening in Sunderland that evening? On the same evening Sunderland’s Christmas lights switch on in Keel Square and whilst the Light Switch On Warm Up starts at 4.30pm, Pixie Lott is performing at around 5.45pm so although Fireflight audience members will be able to enjoy the lead up atmosphere, at 5.45pm you have to be on site for the show which means you will not be able to watch both. Fireflight will take place at the same time as the Christmas Lights Switch On but the Fire Finale will follow a performance by pop idol Pixie Lott, who will help switch on the city’s Christmas lights in Keel Square starting at about 5.45pm. This performance will not be ticketed. Fireflight is an outdoor event designed to go ahead in any weather, so please dress accordingly. I'll definitely be wearing my hat, scarf and gloves! Can I use my camera? Yes, and please do share on social media too. However, recording of images and filming for commercial reasons is strictly prohibited. What if it is cancelled? If the event is cancelled due to extreme circumstances, ticket holders will be contacted via email supplied at point of booking and, announcements will be made via Facebook and Twitter as well as in local press. If you have any concerns about the weather on the night that your ticket is valid please check the Fireflight Event Facebook Page in the first instance. Public Transport is the easiest way, as car parking is very limited at the event. Both Sunderland and Park Lane Metro stations are located nearby. Timetable and ticket information is available. To plan your journey use the live travel map at nexus.org.uk or call Nexus on 0191 20 20 747 (Monday – Friday 8am-6pm). If you do have to drive be aware that parking is extremely limited and is not guaranteed and Sunderland is likely to be congested due to the events occurring. If attendees visit the Council Website www.sunderland.gov.uk/car-parks for a list of Council car parks they can use, all of which are free after 3pm on Thursdays. Tickets were extremely limited and have all been snapped up! If you don’t have tickets to Fireflight – you can still watch the Lights Switch on, where you can see Pixie Lott and you can still see the fire finale at 6.45pm which is not ticketed. No matter where you are in Sunderland City Centre on 23rd November – you will have an amazing time. Keep watching the Fireflight Event Facebook Page for further information. Don’t miss this once in a lifetime free, family-friendly spectacular. 5 Things Not To Do! Not wrap up warm. It’s an outdoor event and will go ahead whatever the weather. Arrive after 5.45pm. Your ticket will not be valid after that time. Bring a dog. There are flame and light effects and large numbers of people which make it unsuitable for even the best-behaved dog. Assistance dogs will be accommodated. Come by car. Unless you really have to, please use public transport. What events are you looking forward to this year? Disclosure: This post has been written in collaboration with the event organisers who have compensated me for my time, and who have supplied many of the images. Sounds like a show worth seeing. I'm yet to visit the building now that it has been re-purposed. Wow, this sounds so great and one to definitely plan for! There's quite a bit to do.